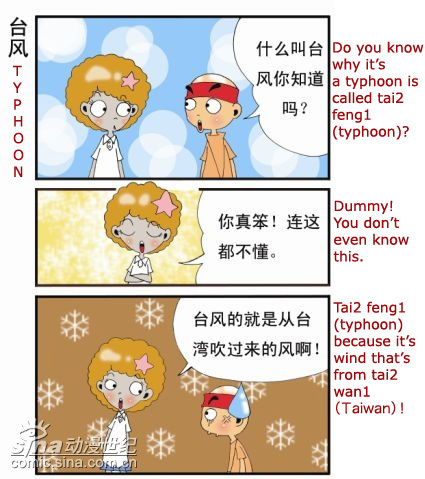 From a strip called 铁头日志 (Ironhead Journal). This one’s a pun, so I’ve added some pinyins in (look for the non-English words with numbers at the end). Translations in red.